as of late, I’ve decided to use this blog not only as a place to share gluten free content, but as a tool for me to process my thoughts and energy; to ultimately figure out the voice and journey I want to have in the world of food. I used to think that no one would really want to read anything I had to say (and I still do! ), but that also prevented me from ever writing anything, restricting the voice I had all along. the a-ha moment was when I realized that writing is something I have to do for me and nobody else. as a 26-year-old who has bounced around the food industry quite a bit, working both front and back of house in restaurants, catering companies, food startups, food styling agencies, bakeries, etc. etc. I am done with the learning plateaus, the brutally imbalanced hours, and the bosses who expect but don’t teach. I am ready to find my own path and be my own boss. I no longer want to shy away from who I am as JANNELL LO as I want to focus on the values that are important to me - bringing people together, harnessing the superpowers of those around me, uplifting each other, and giving back to the community. I still need to figure out what that means in terms of my business, but that’ll come with time. with all that, I just spent the past weekend in nyc inspired by amazing women in the food industry, at cherry bombe university! thank you kerry diamond and the #bombesquad for making this it all happen. 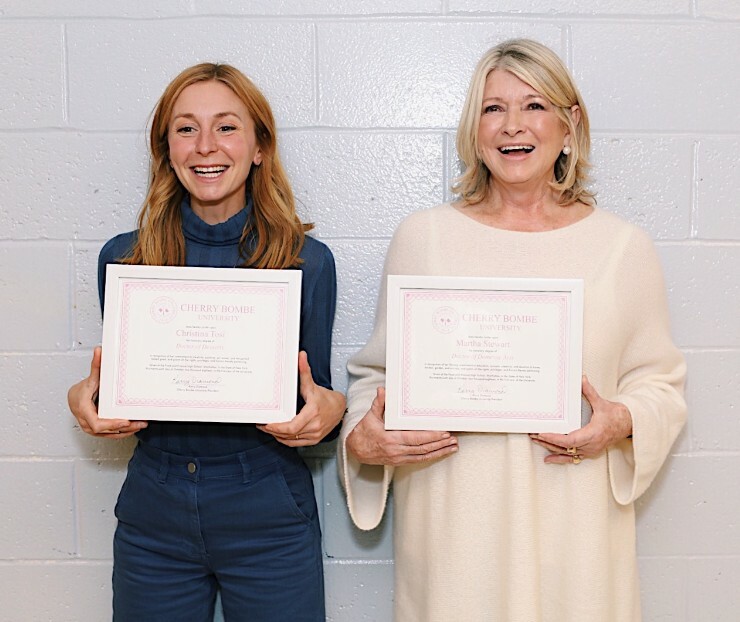 the weekend started friday evening with christina tosi from milk bar and the legendary martha stewart as keynote speakers. who gave lessons on how they’ve mastered their own universes. for someone figuring out how to grow her own food brand and website, this weekend was an incredible opportunity to soak in the wisdom and experiences from industry leaders, cookbook authors, and CEOs of modern food companies. I am now more energized than ever, and through my food, I will do all that I can to make a difference. especially with the shallow state of our political climate, I need to stay true to who I am - a driven, female, chinese, canadian, chef who cooks from her heart - intertwining asian flavours with western techniques; staying mindful to people with dietary restrictions. you all push me to be a better me, and I thank you for that.